After heeding the advice of my friends and adopting a betta fish, I realized first-hand that the tiny fish are not as low-maintenance as you think. They told me betta fish would make the perfect college pet. I have several friends with bettas in their dorms and student apartments, who sang the praises of the little beauties in the weeks leading up to my decision to finally get one. I adopted my little blue betta, Bellamy, a week before Thanksgiving break. I was at a point in the semester when I was feeling the beginnings of an intense burn-out, with midterms completed and still essay upon test upon essay looming before me. All I wanted was to go home and snuggle with my pets, but instead, I ended up at the local Petsmart. Thirty minutes later, I left with a small tank, some decorations, food and a shiny Veiltail male betta thrashing around in a small plastic cup. It wasn’t until I got to my car that I realized that I had just impulsively purchased a living creature, and now I had to be responsible for making sure it didn’t suffer from an early death. You know, just college things. So many people had told me that owning a betta fish while in college would be a walk in the park (without actually having to walk anything). 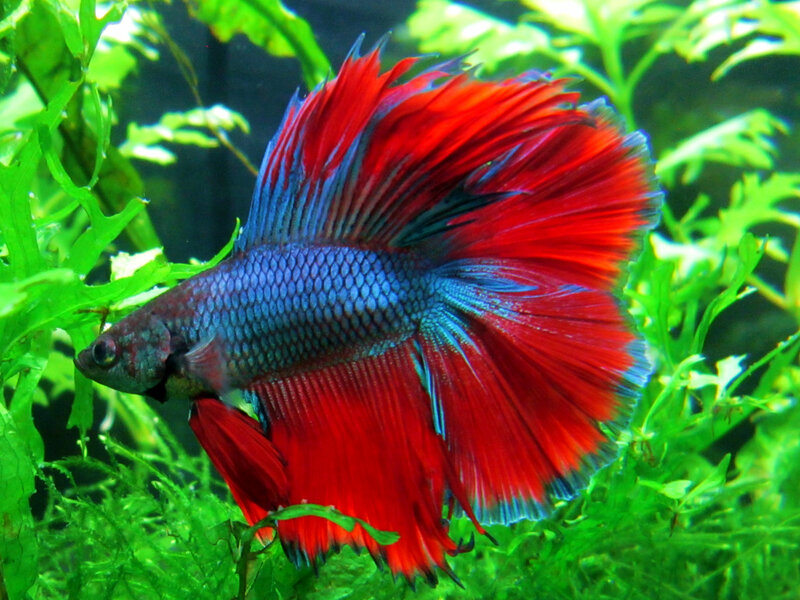 But I quickly learned that while there are definite pros to living with a betta, there are some hidden struggles that I could only experience firsthand. For one thing, betta fish are more complex than you might think. They’re labyrinth fish, which means that they actually breathe air from the surface of their tank. They can also tell the difference between night and day, which directly affects their sleeping patterns. Yes, betta fish actually sleep! I thought that was a pretty endearing fact at first. But then I found out that in order to make sure Bellamy has a normal, healthy day-and-night schedule, I had to turn off his tank lights at a reasonable hour and ensure that the room was completely dark so that he could rest. What I didn’t realize is that this would directly interfere with my increasingly regular late-night essay-writing and study sessions. So, paranoid about killing my fish less than a week before I adopted him and not wanting to wake up my roommates by camping out in the living room, I brought my books with me into the bathroom. It was like I was back in freshman year and had a finicky roommate who liked to turn in super early. Yet in the bathroom I stayed, desperate for this one-and-a-half inch aquatic creature to like me, and to prove to myself that I could care for an animal on my own. I later learned to just cover up his tank with a blanket so that my little roommate and I could both be happy. Then, Thanksgiving break rolled around. Here’s another thing they don’t tell you about owning a betta fish in college — during school breaks, there often isn’t anyone left around campus to take care of it for you. So, after conducting some pretty thorough research online (there are a surprising number of betta fish-specific resources on the Interwebs), I decided that the only thing I could do was attempt to transport my little roommate two-and-a-half hours back home for some turkey. The best option gleaned from this research was to simply put the betta back into his plastic cup and stick it into the cup holder in my car — ensuring that the car was warmed up first, of course. So I loaded everything else up first, and then settled Bellamy into his co-pilot position for the journey. Paranoid once again that he’d perish at my hand, I checked him every chance I got. Turns out, betta fish are hardy as hell. My little roommate made it through not only that journey, but the one back to college, and then back to my home for winter break. He probably loathes those car rides, but hey, at least he’s still kicking. 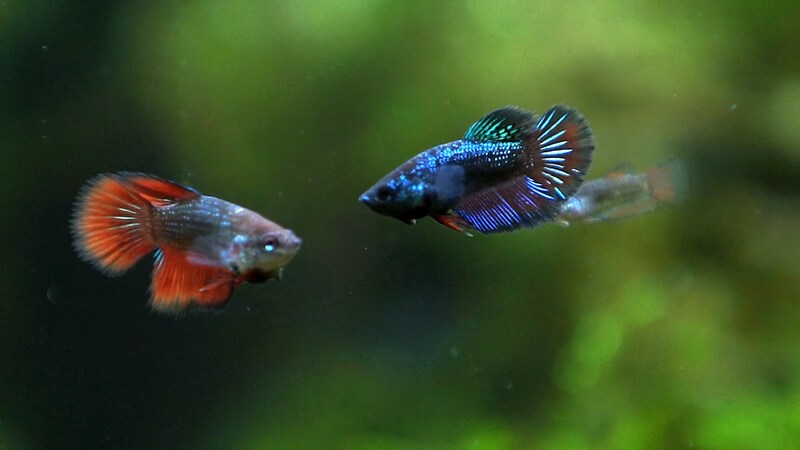 While it can be a bit of a pain to make sure that you’re caring for your betta properly while simultaneously juggling the pressures of college life, there are definitely so many reasons why you should keep one in your dorm or apartment. 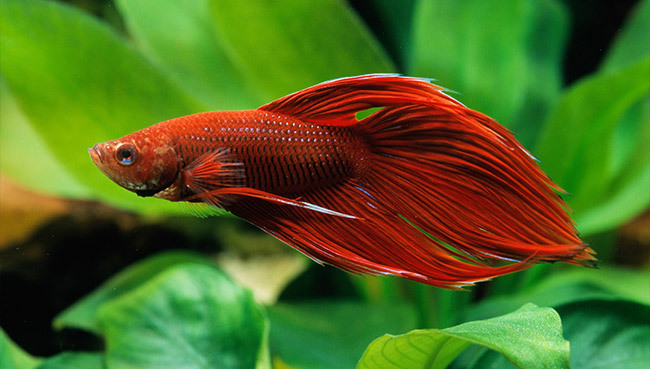 Not to state the obvious, but bettas are beautiful! You can choose from a variety of colors and fin shapes, ranging in flair and vibrancy to help to brighten up your room. Studies have also shown that watching fish swim around a tank helps to lower stress and anxiety levels, and the sound of their filter running can be a soothing background noise for reading and studying. Having a betta fish is also an instant ice-breaker. It’s the first day of class and your professor is making everyone come up with a fun fact? Bam — “I have a pet betta fish.” Done. It’s also a great conversation starter when showing someone around your room for the first time. Unlike a dog or a cat, bettas don’t need to be walked or for their litterbox to be changed. They just need regular tank cleanings and water changes, which only take around 10 minutes. But similar to a dog or a cat, they can actually learn tricks and play games with you! Plus, as I mentioned above, they’re tough little fish. In the wild, they live in small rice paddies throughout Asia, without much room at all to move around. They’re masters at adaptation and adjustment, and always landing on their…well, fins. I’ve learned a lot from my time with a betta fish roommate, and while it’s not always smooth sailing, in the end it’s worth a few bumpy waves.